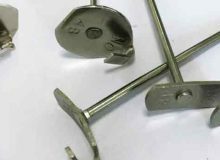 Insulation Lacing Anchors are used in the production of insulation blankets or removable covers and pads. 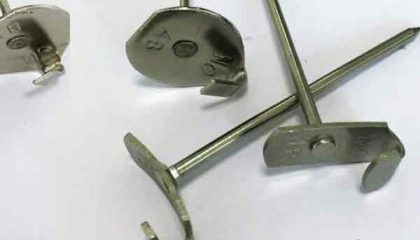 The pin is pressed through the insulation layer, so the hook portion sits on the top edge and the pin is locked on the opposite side of the insulation with a washer. 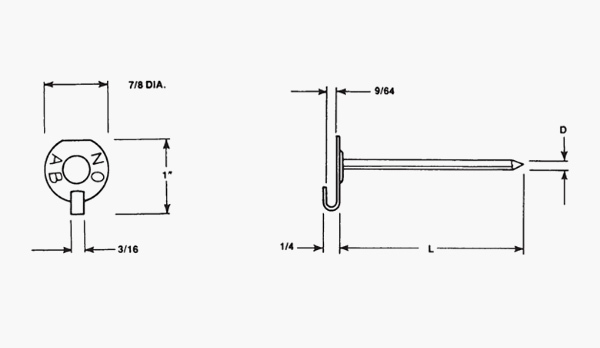 The two sides of the insulation materials can then be “laced” together by the hooks with tie wire. Material specifications or certification available upon request. 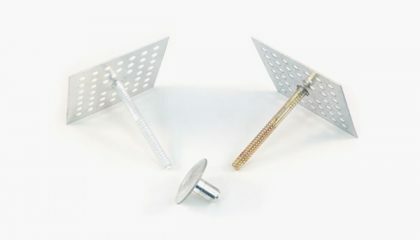 Domed Caps can also be used to cover the tip of the nail. 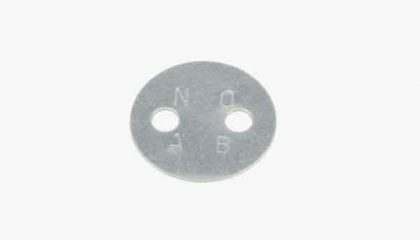 Non-asbestos material can be stamped. Standard size is 12GA (2.7mm), 14GA(2.0mm), Other sizes are available by special order. 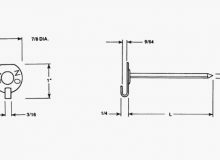 2-1/2″ & 3’’, 3.1/2″ 4-1/2″ are standard. 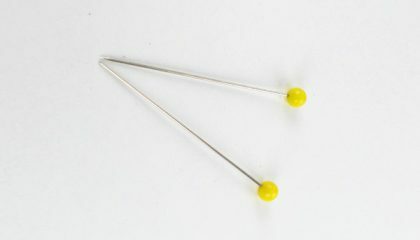 Other lengths available by special order.